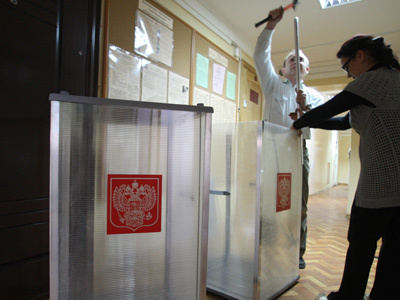 Russian presidential hopefuls, Communist leader Gennady Zyuganov and billionaire Mikhail Prokhorov have signed agreements with the country’s League of Voters to jointly monitor the March 4 poll. 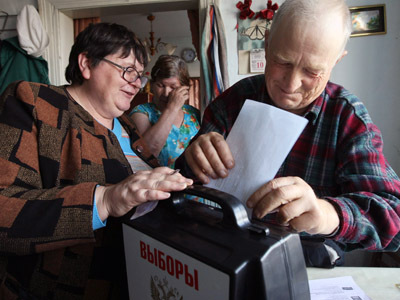 “We will be training observers together and we will establish centers for data exchange in every region, which will be getting information from our monitors as well as from the League of Voters,” Ivan Melnikov, a senior member of the Communist Party said at the signing ceremony. The Voters’ League is a movement founded by Russian activists, journalists, bloggers and writers following the December 4 State Duma vote. It aims to fight election fraud. One of the co-founders of the League, Georgy Vasiliev, noted that a special integrated database called the consolidated record will contain electronic copies of monitors’ reports. He added the database will be available to everyone on the internet, and pointed out that this is the first time such an approach will be used. Later on Thursday, the deal was sealed with Prokhorov's campaign staff. The businessman stressed the importance of such co-operation, noting that the creation of such a “national network” of election monitoring will help to answer the question of how legitimate power in Russia really is. “It is not who wins the election that is important for us. It’s important that the winner have the legal right to lead the development of the country,” Prokhorov told journalists. Another presidential runner, Vladimir Zhirinovsky of the Liberal Democratic party said he was also ready to sign the agreement. He expressed hope that the League will co-operate with Fair Russia’s candidate, Sergey Mironov, who had earlier confirmed his intention to sign the agreement. 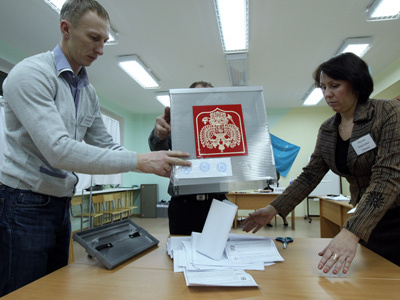 The fifth registered presidential candidate is Prime Minister Vladimir Putin.Earlier in February, his election HQ addressed a letter to the leaders of the Voters’ League inviting them to act as monitors of the upcoming poll. However, representatives of the League expressed doubts about the offer – in particular, about the number of mandates they would be given and at what polling stations. Nevertheless, they still agreed to discuss the proposal. A day after the invitation was published, Putin’s press secretary, Dmitry Peskov, warned the organization against excessive bargaining and criticism, adding that this will not help build dialogue. The Voters’ League says it has no political goals, and is not going to support any political parties or presidential candidates.